With the advent of superlative 3D animation and VFX, 2D cartoons have been presumed to become obsolete in many occasions. Nevertheless, 2D graphics still make a deep impact. In the given set up, 2D Videos scopes multiple applications for such concern. 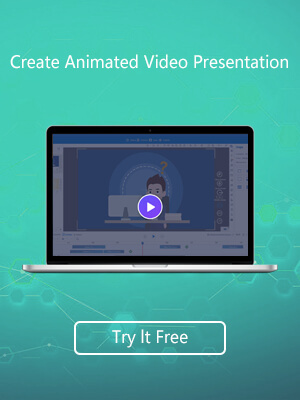 If you are on the lookout to create a 2D cartoon video, you can pull it off without being one or hiring a professional animator. With a basic knowledge and concept of video editing, anyone can make it on their own desktop. This article features the codes of conduct, instead of the technical steps, for making it happen. a) Subject : Chalk out the application first. Based on the genre of your animation video, your whole project can be determined. b) Duration : Next up, consider the duration of the video, based on which you should have your script. c) Outline : Once the script is ready, make up the outline of the video, and what kind of content you will have in there. Decide the things you will incorporate, amongst 2Danimated characters, scenes, texts, objects and special effects. Once you have decided the outline, duration and subject. You have pretty much built a road map for your 2D animated video. Storyboard is required in animation video making, for visualization of the scenes. It is the blueprint. This technique, coined by Walt Disney, was entirely based on handmade illustrations in a sheet of small cells, each cell depicting a shot. Many creators skip this step, but storyboarding is a good idea if you are working with a team, everyone can visualize the concept they are to work on jointly. 2D Animation has diverse application, and with the many advanced technologies, things have really been simplified. 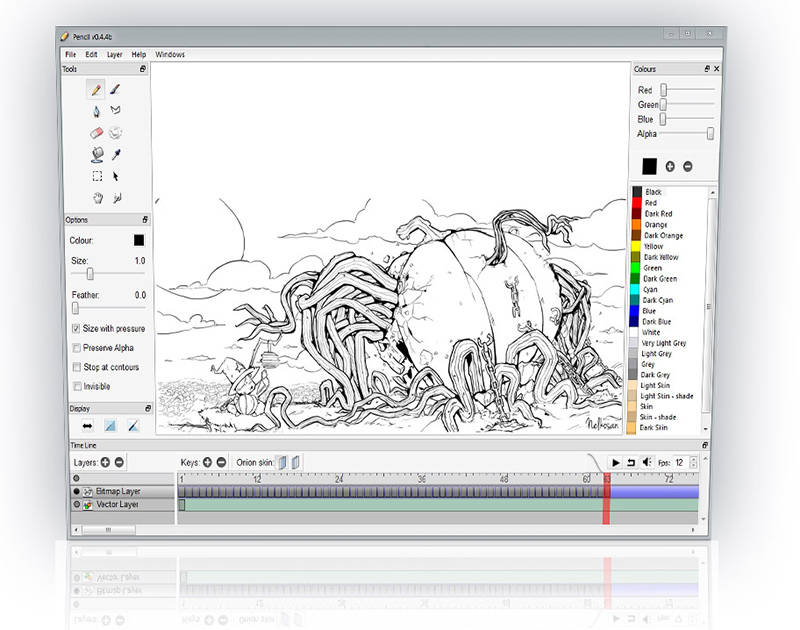 There is diverse software available, that lets you animate online from your PC. You can choose from the following online 2D video makers. 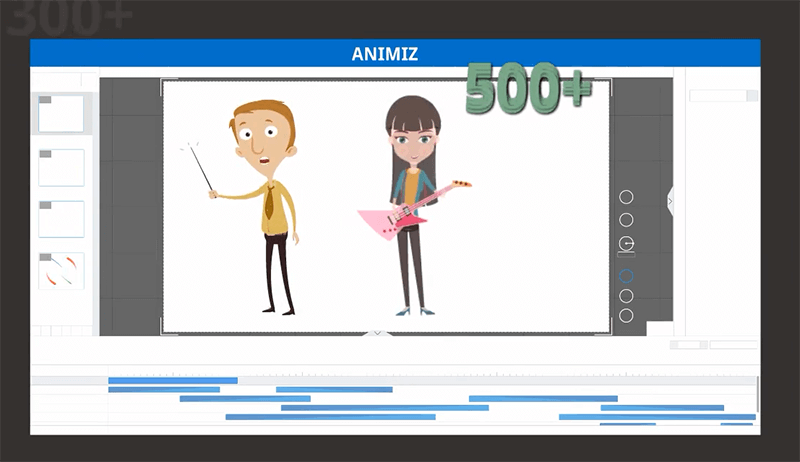 Animiz, is a new platform, that fits the criteria of free and open source digital platform that will come with numerous pre-set characters, backgrounds and scenes you can choose from. 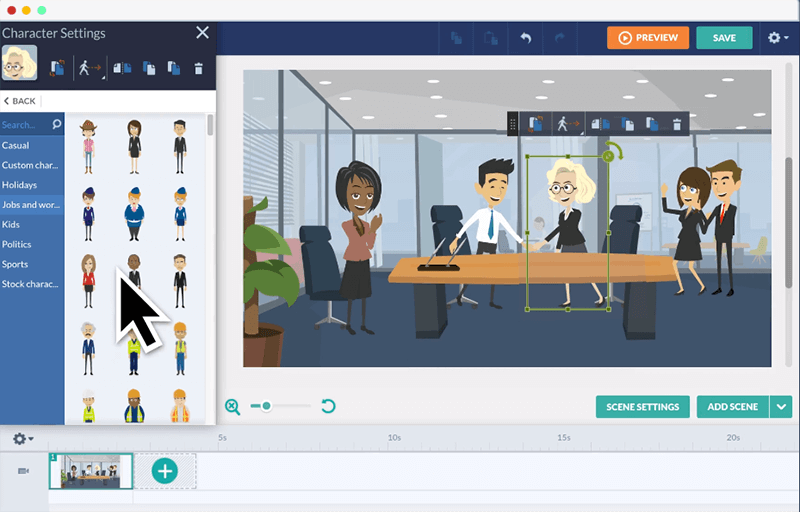 The Windows animation software are made for cartoon video presentations, for education, social message and business promotion. This is very easy to use, making your job incredibly fast. Now that you have chosen the ideal software, the next step leaves you to the controls of that particular software. Read the instruction manual, if you choose a simplistic software, this will not be rocket science. To design characters, you can either draw your own cartoon, or choose from the pre-set models along with clothes, hairstyles and expressions, and props, like glasses, sword, laptop, school bag and stuff. Just choose and edit. Once your characters and props are brought to life, now you got to animate the scene, this feature will be available in the animation platform you have chosen. You may include special effects, sounds, playback and lip syncing, or narration. If your chosen 2D animation software allow storage, sharing and publishing, directly from the platform it is well and good, otherwise you can just store in them in your computer’s hard drive and publish on your desired platform, like Social Media, Blogs, and Emails.